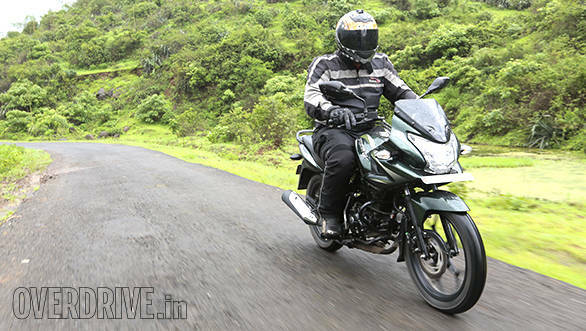 At the outset, let us get two critical things about the Bajaj Discover out of the way. First, there are now only three models in all. Not six. Not seven. Not umptimillion. Just three. The smallest is the Discover 100M. The middle is the Discover 125M. And the top model is the 150, which comes as the 150S - biking fairing, non-LED tail lamp and analogue meters and the 150F - half-fairing, ana-digi meters, LED tail lamp. That's it. Some really deep interior India showrooms may also have some Discover 100 4Gs, but they're also on their way out. Second, Bajaj told us clearly that the season of Discover-y is over for now and next up are bigger motorcycles from the Pulsar line and of course, the KTMs. And now, back to the 150s. Let's be honest, there isn't much to say here. The bike, especially, the S looks exactly the same as the 125ST (now discontinued). And in that sense, this similarity robs the 150s of any sense of newness, of novelty value of the premiumness that should come with being the top of its line. This is, in my book, a miss. But it is a card Bajaj have played before. The F does look different thanks to the half-fairing but I'm not a fan of the busy designs which stick faux mesh panels and what not to create that sense of busy-ness. Classically pretty the F isn't. I also found that it is a hard fairing to clean when we started to shoot photographs after riding in the rain for a bit. 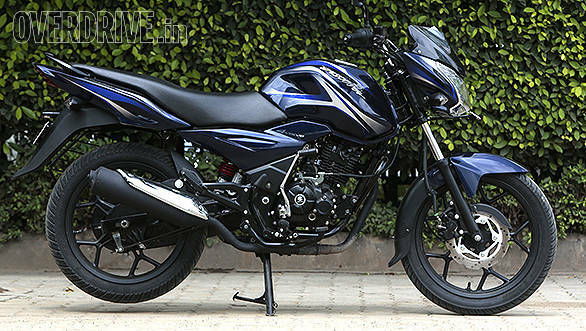 Point is, they're finished and built well as we have come to expect Bajaj's bikes to be. Unfortunately, the styling is also expected and that will cause a lower perception in value in the showroom. Finally, the dull palette, according to Bajaj, is a reaction to the wishes of the customers who wanted non-flashy bikes, quite at odds with the smaller Discovers. 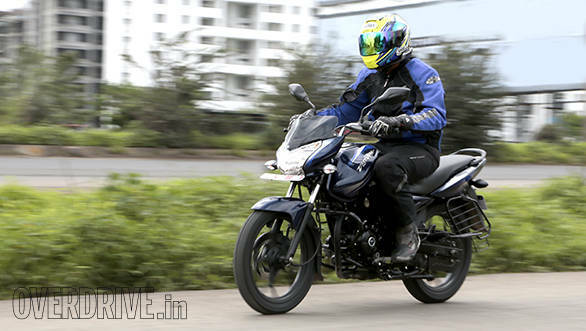 Bajaj have been rolling their four-valve heads out and the 150s also get it. 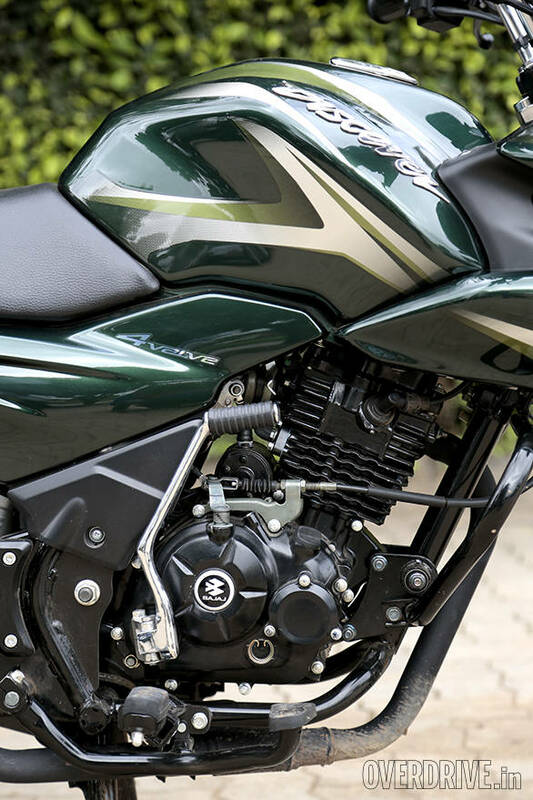 Bajaj say the bottom-end isn't necessarily all-new but the longer stroke on the undersquare engine did mean that quite a bit of work went into the creation of this 144.8cc engine. Other changes include detail design work in the gearbox and the engine head is metal once again. The tuning is for the commuter, which means NVH control, low and mid-range punch and a relatively less important top-end performance. What we found is that this bears out. 60kmph comes up in a reasonable 5.45s even with a 90kg rider but 100kmph takes a vastly more leisurely 19.20 seconds. On the move, as usual, the engine feels happy to rev cleanly though the torque ensuring that you rarely have to redline it for maximum progress. 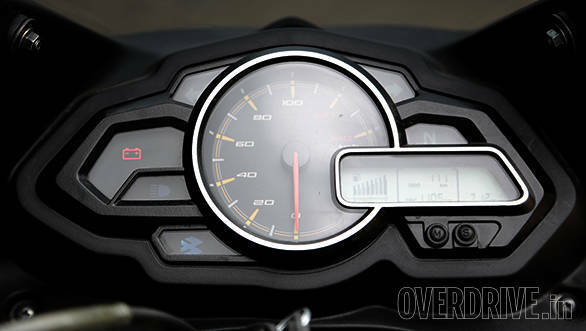 Our motorcycle showed the work Bajaj have done on NVH by keeping harshness as well as noise tightly under control. Vibration didn't creep in until 60kmph, but at that point, it was still restrained enough for it to not be complaint-worthy. Economy is excellent. Bajaj promise 55-60kmpl in the real world and we did get just over 70kmpl on our highway test so the 150s should be frugal. Top speed, is 109.53kmph. The Discover 150F and S customer is evidently still not interested in ABS brakes and hence Bajaj have not offered that (or for that matter fuel injection) as an option. Which explains the feel of the disc brakes. The lever pull is generous and initial bite is mild. Pulling hard on the lever produces good stops but the feel is very much - and I'd say this is consciously done - like a strong drum brake which is perhaps friendlier in light of the intended customers. It is easy to write the 150 off as the 125ST's frame but that isn't strictly true. There isn't any significant suspension or main frame work to be sure because the weight difference between the 125ST and the 150s isn't that much. But Bajaj engineers had to lower the step in the subframe, lengthen it a bit and stiffen it. This creates a flatter seat which should make it easier for the pillion to climb on. It also means the 150 will often carry three people around which we cannot condone. Ride quality is a surprise. Bajaj's chassis guys are pretty good at this and the Discover has an excellent ride. It feels well-damped and absorbs almost everything, only letting through the smaller, sharper bumps. Handling, similarly, is as expected. The motorcycle feels very light on its feet and extremely agile without becoming unstable mid-corner. It does have MRF Zappers on, so grip levels are good and while hard cornering isn't really required of the bike, it should acquit itself quite well. As commuter motorcycles go, the Discover is a pretty decent commuter. 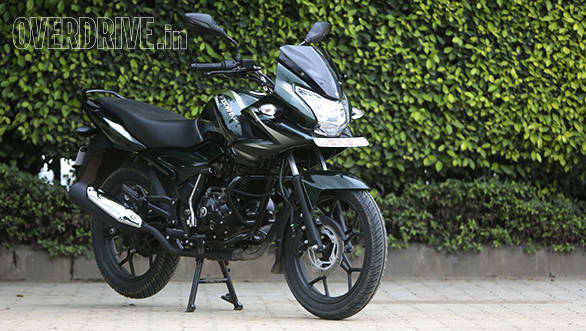 It has genuine 150cc class performance, economy is excellent, as are its manners. But you do feel that you're riding a less premium motorcycle compared to the other 150s. Now, this shouldn't automatically be a problem because the Discover 150 is also substantially cheaper than the comparable 150s with prices in fact sitting squarely in the top of the 125cc segment. 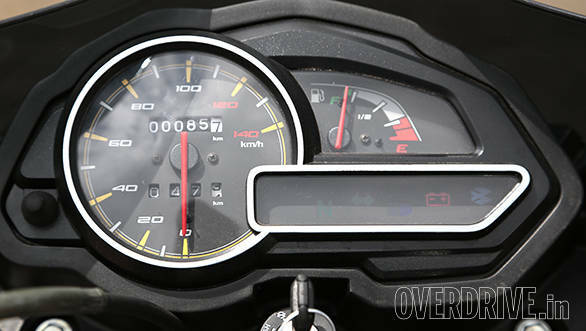 Bajaj have always been happy to straddle segments allowing displacement and performance to give their motorcycles an edge and the 150 does this quite well. The issue really is whether you'll be happy paying extra for the 150 knowing that anyone on a Discover 125 will have visually the exact same motorcycle. To me, the motorcycle itself is as we expected it to be - good at its role. But the question really is whether that is enough for the Discover 150 to be commercially viable. We are watching it closely.